After finally deciding what car you have chosen to buy, the last step that will ensue will be the paper works. 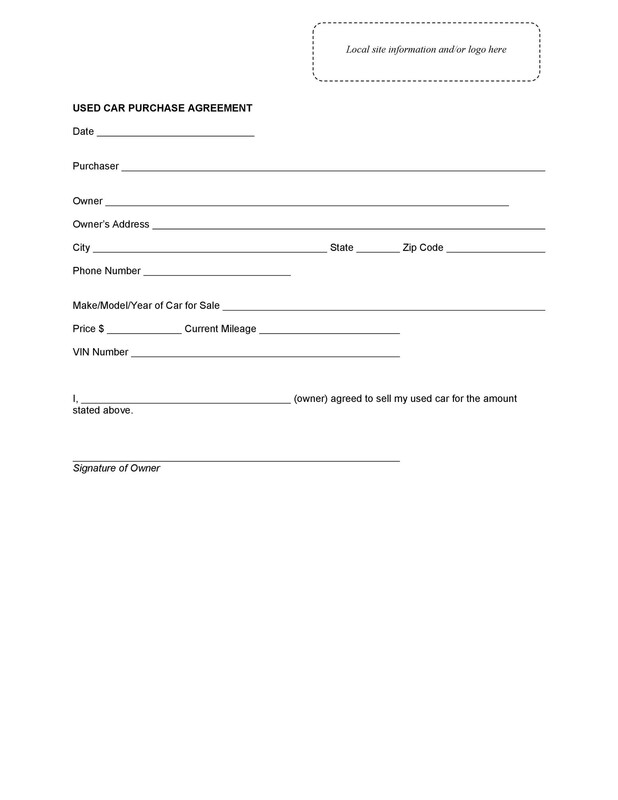 This process usually includes signatures on the car purchase contract or the car purchase agreement. 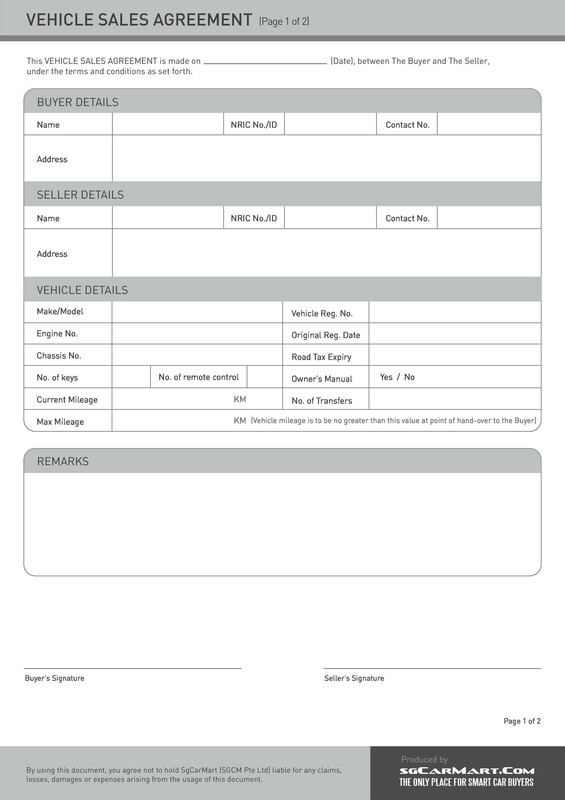 Contained in this document are all the necessary information relevant to the car deal entered between you and the dealership/seller. 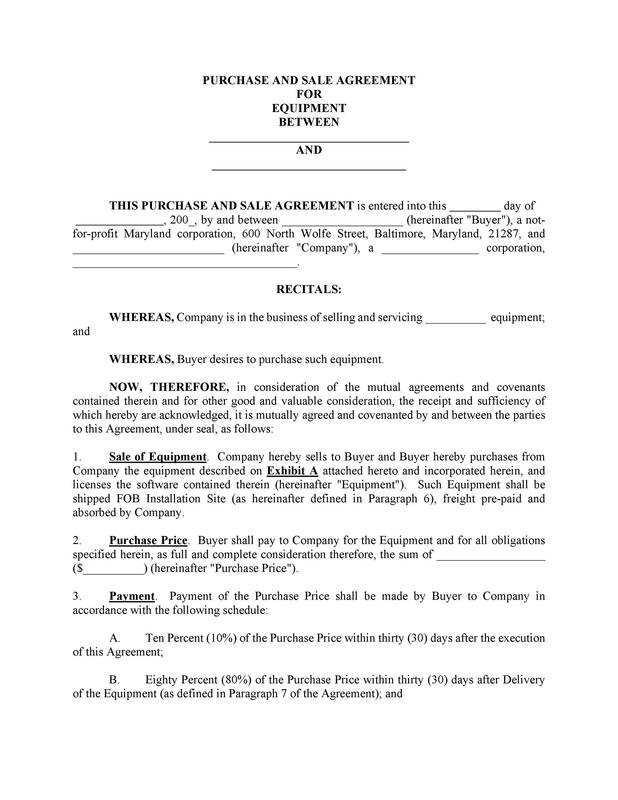 Like any contract, you should understand all these information included in the purchase agreement. 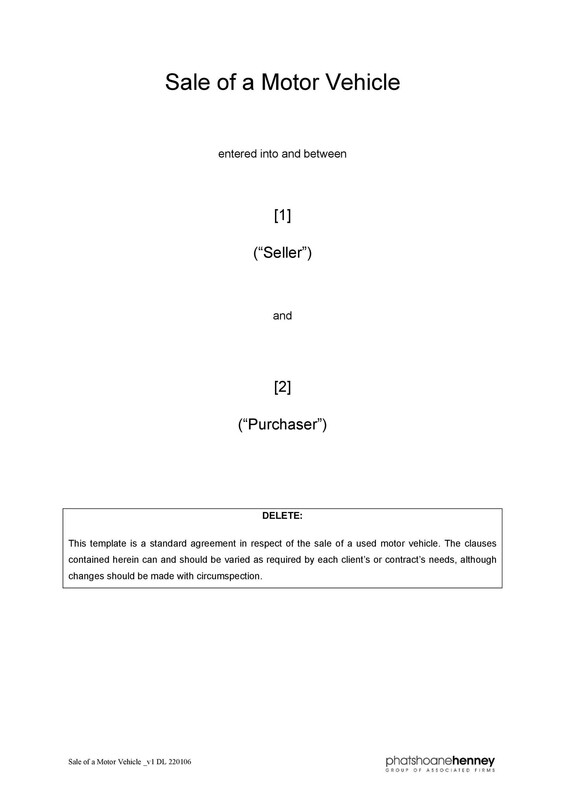 It is usually standard practice to state buyer and seller information in the beginning of the purchase document. 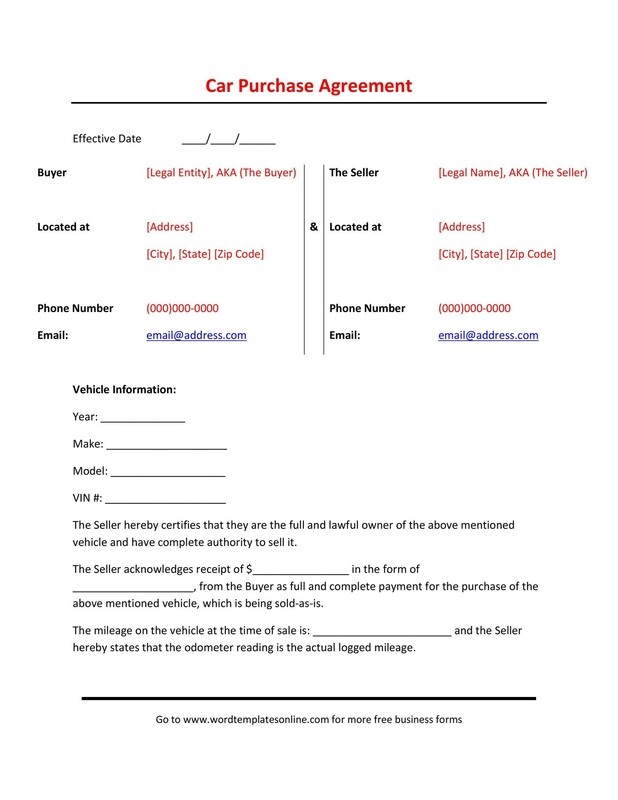 The information contained therein includes the dealership’s name being referred to as the seller and yours as the buyer; the information regarding the vehicle: the manufacturer, the make, the model, model year, the VIN, the mileage. All these data should be reviewed in detail making sure that everything matches with the information of the vehicle you are buying. 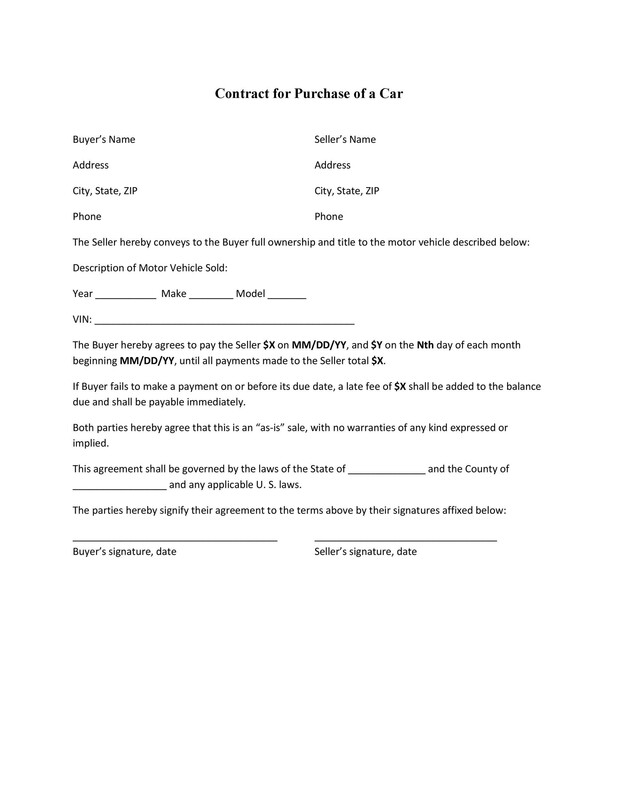 The vehicle purchase agreement/vehicle contract is an agreement for the sale and purchase of the car or some other vehicle. 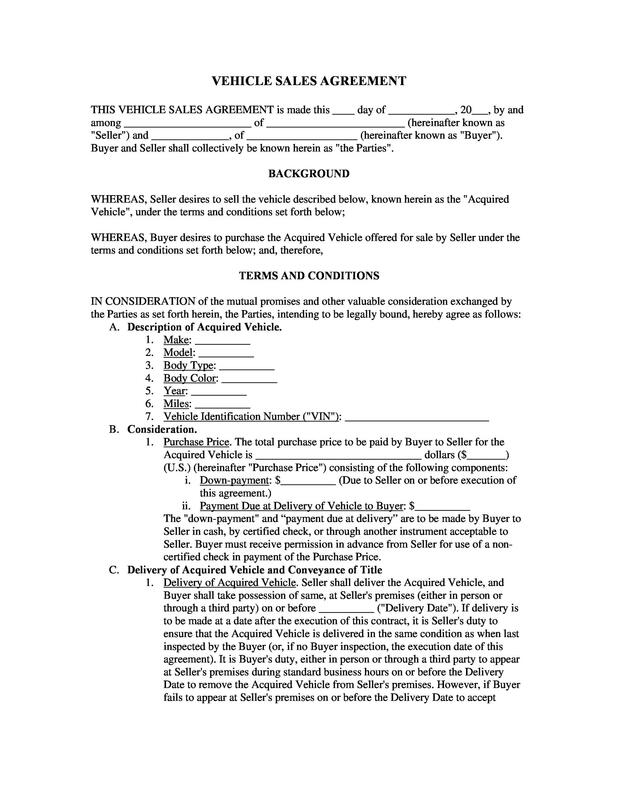 “Vehicle purchase agreement” is thus a general term and it might refer to several different types of purchase agreements, so long as types concern the sale of the car. 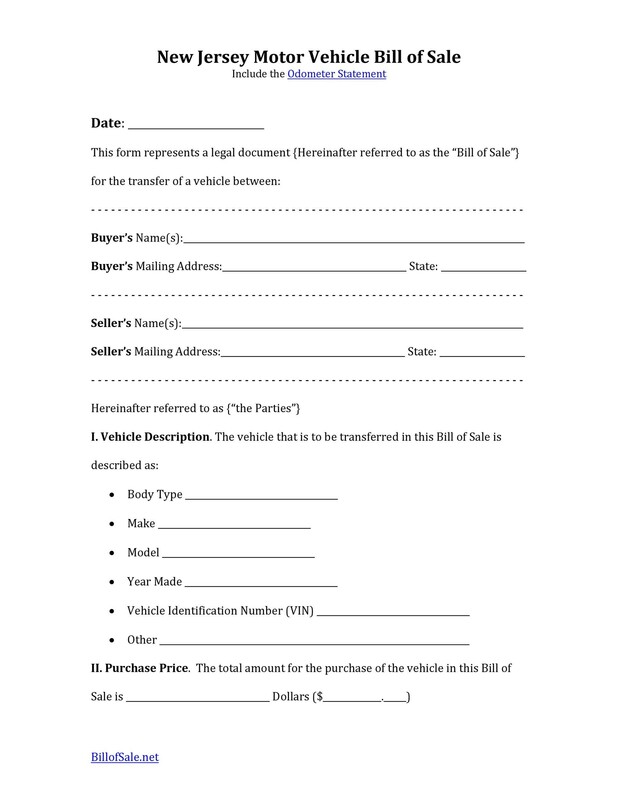 Look at this example: A car purchase agreement can include terms of the lease within the contract where the buyer leases the vehicle for a defined amount of time before having to pay the remaining balance required to fully purchase the vehicle. 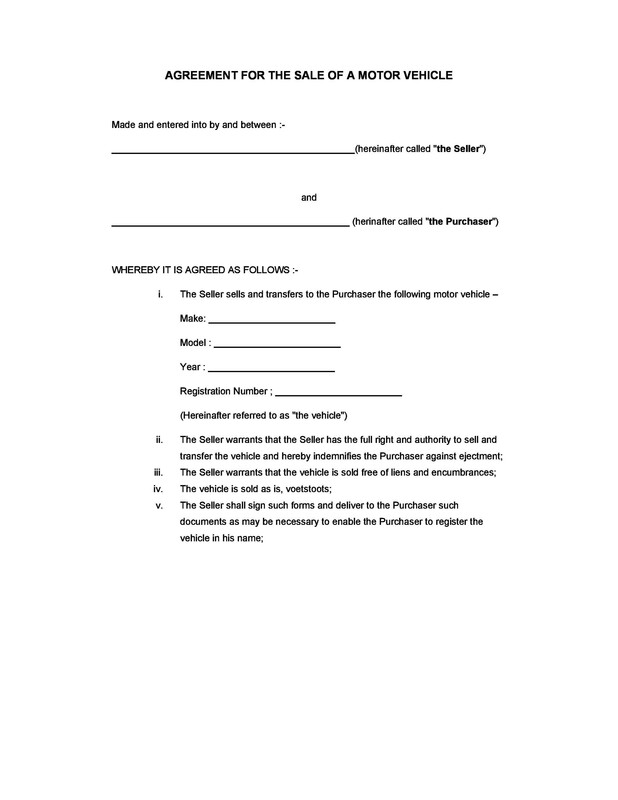 This is some kind of lease to own plan where the purchaser leases the vehicle with an option to buy it later. There are two vehicle purchase agreements involved here. 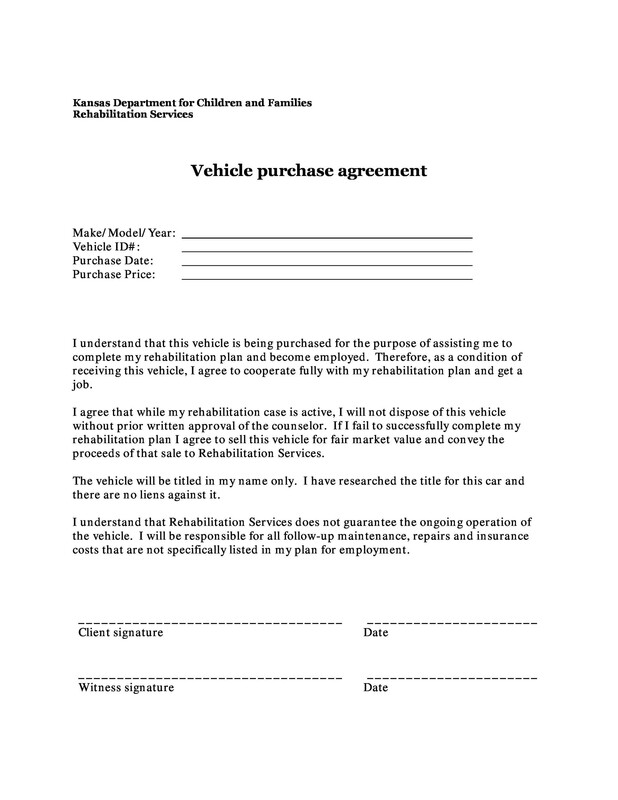 The full and immediate sale of the vehicle in question can also be included in the vehicle contract. 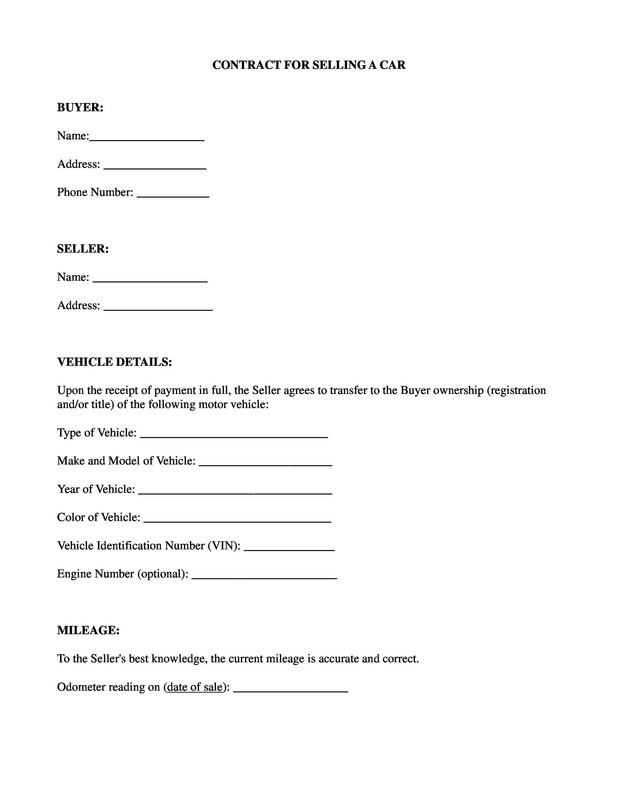 Another important function of the vehicle purchase agreement is its use in terms of the vehicle’s Bill of Sale. 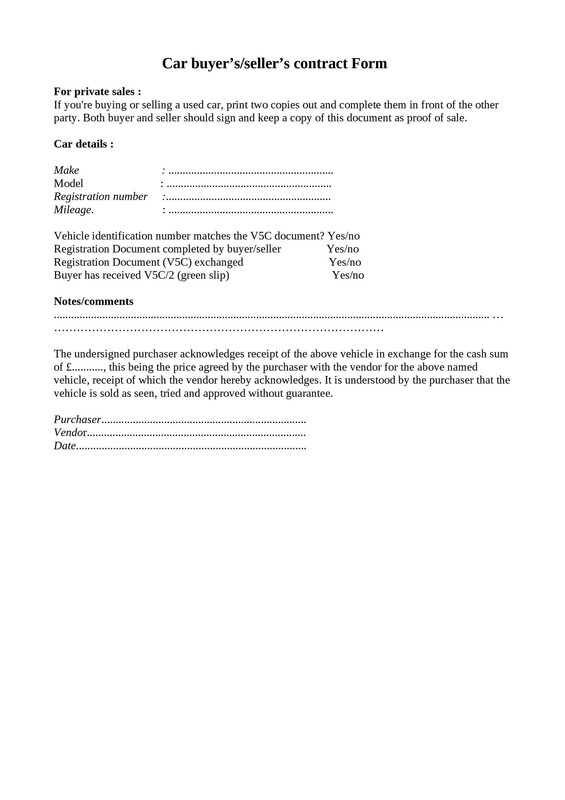 As aforementioned, the agreement will disclose the full terms of the sale from the previous owner to the current one: the names involved (seller/buyer) in the transaction, the information details of the car, the amount for which it was bought, the rights and responsibilities which have been transferred as a consequence of the purchase agreement. 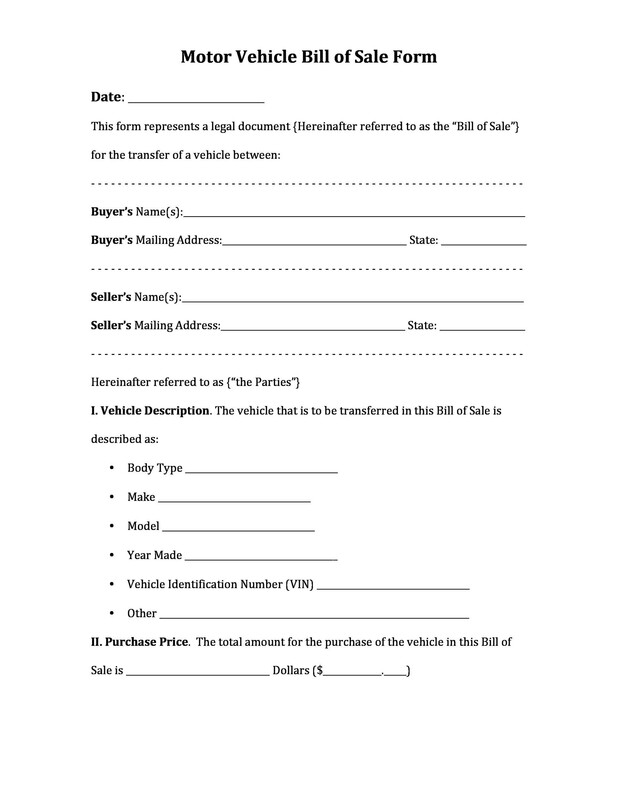 This agreement, which is referred to in different terms, such as car sale contract, usually contains information about the buyer, the dealer and the car itself. It will also contain prices and the manner the vehicle is paid for. 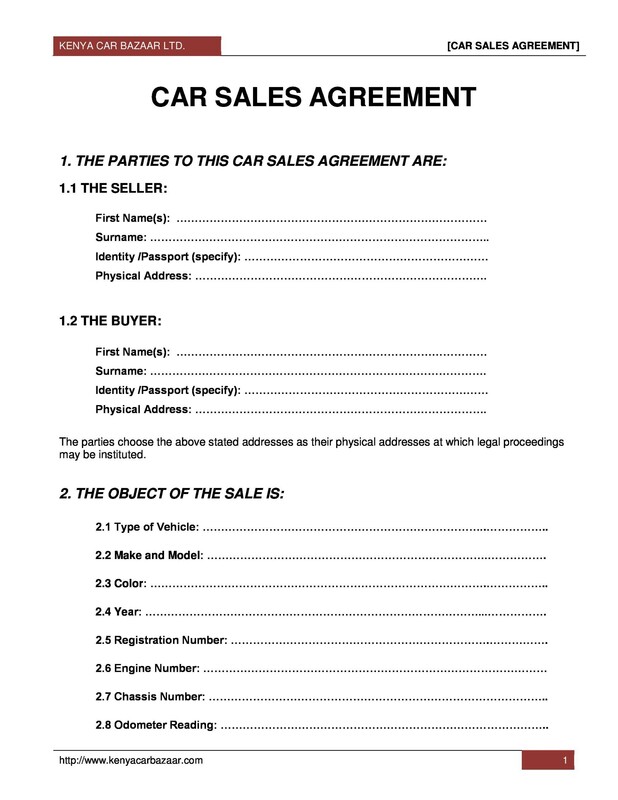 Dealerships always use a purchase agreement to finalize a sale and such is an agreement between the buyer and seller. 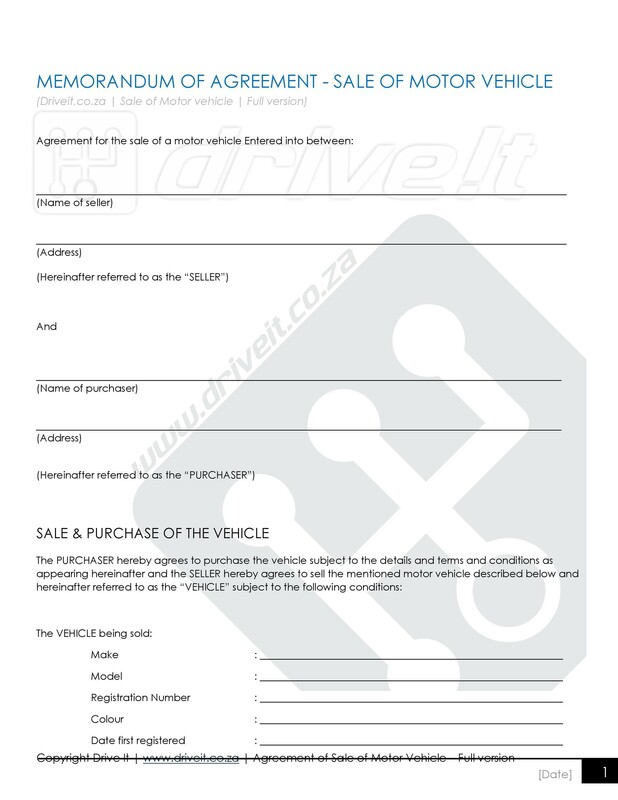 However, if you are purchasing a vehicle from a private individual, the latter will require you to sign a Bill of Sale, which is a simplified form of a purchase agreement. Such is necessary for the private individual so he can show proof that he/she indeed is no longer in possession of the vehicle in case the vehicle would be involved in a hit-and-run accident or if the vehicle was abandoned. 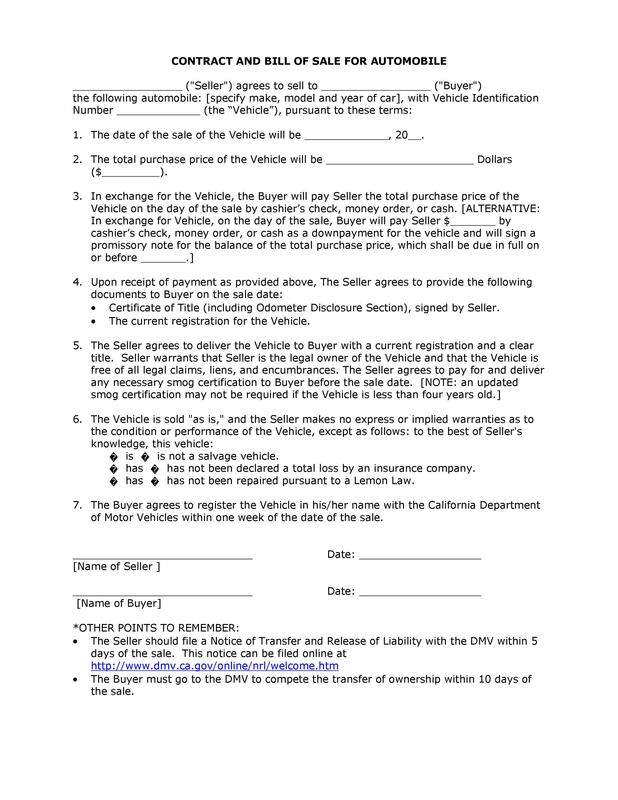 The Bill-of-Sale can also serve as a “pink slip” for the buyer until the paperwork for the new ownership is complete. 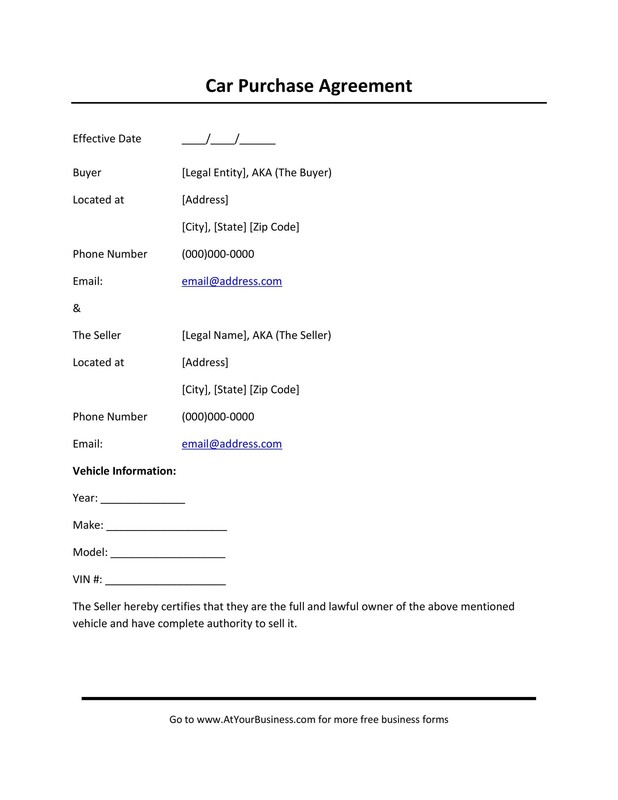 The full name and complete address of the seller. The full name and complete address of the buyer. Details of the vehicle such as the make, model, year and color. 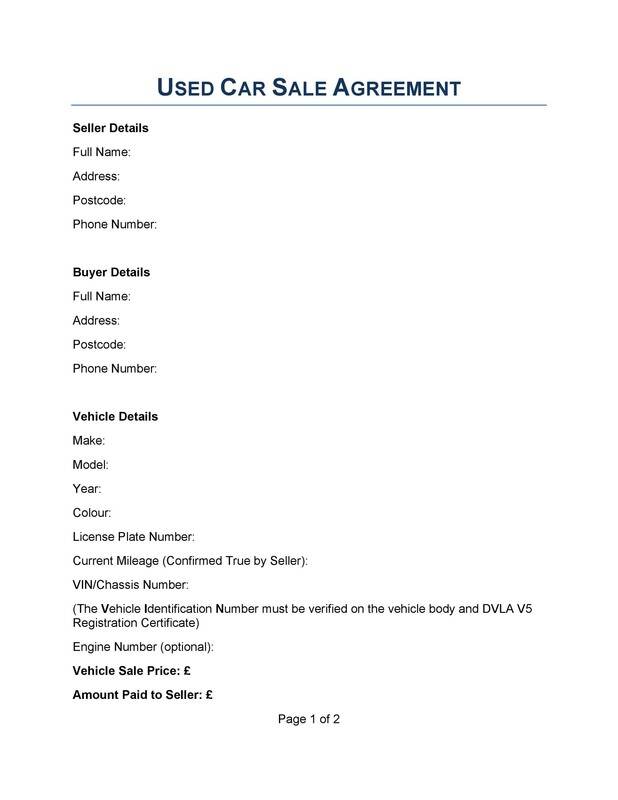 The VIN or Vehicle Information Number. The mileage on the odometer at the time of sale. The date the sale was made. 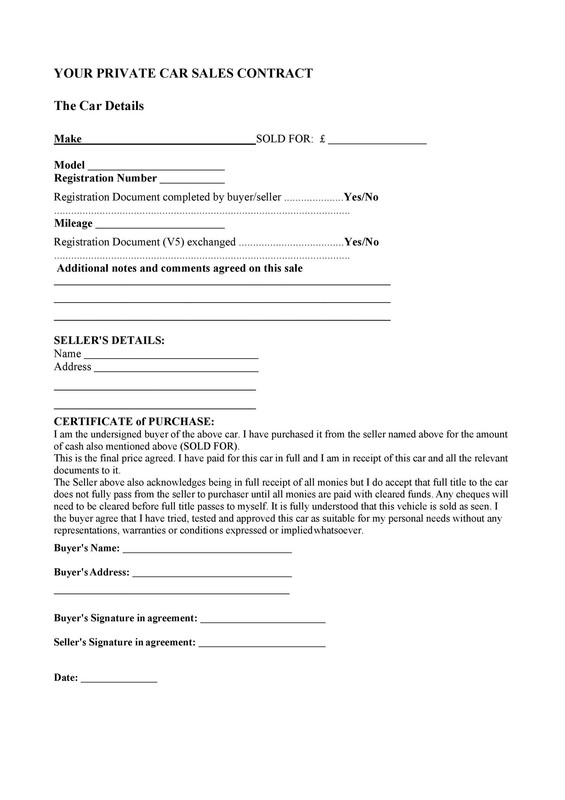 Affixed signatures of the seller as well as the buyer. 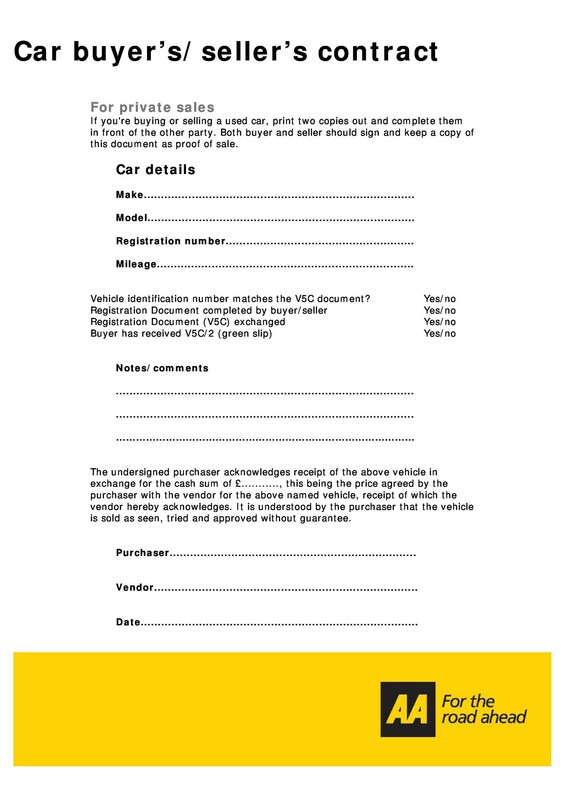 Keep all these elements in mind when going through your car sale contract. 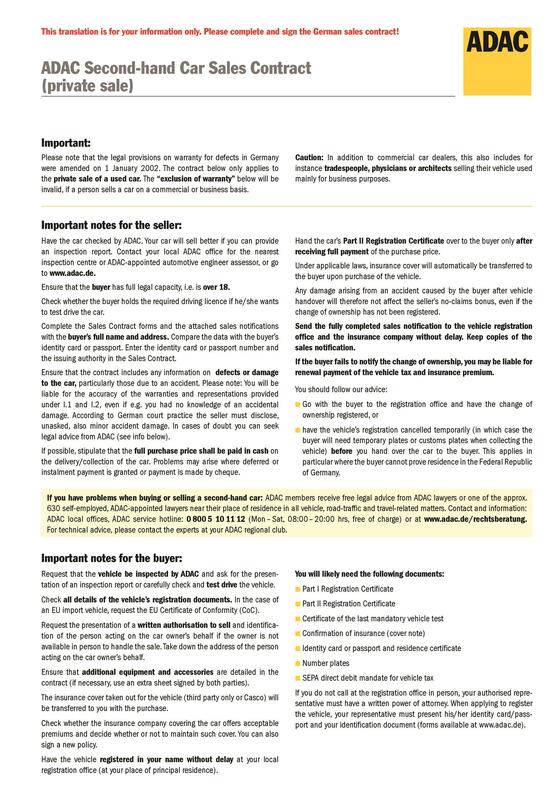 Before buying a car, the buyer should be aware of the requirements before purchasing. All these are contained in the agreement document. Before signing though, make sure all the information on the document is correct. Let’s go on to what you should pay attention to before affixing your signature. 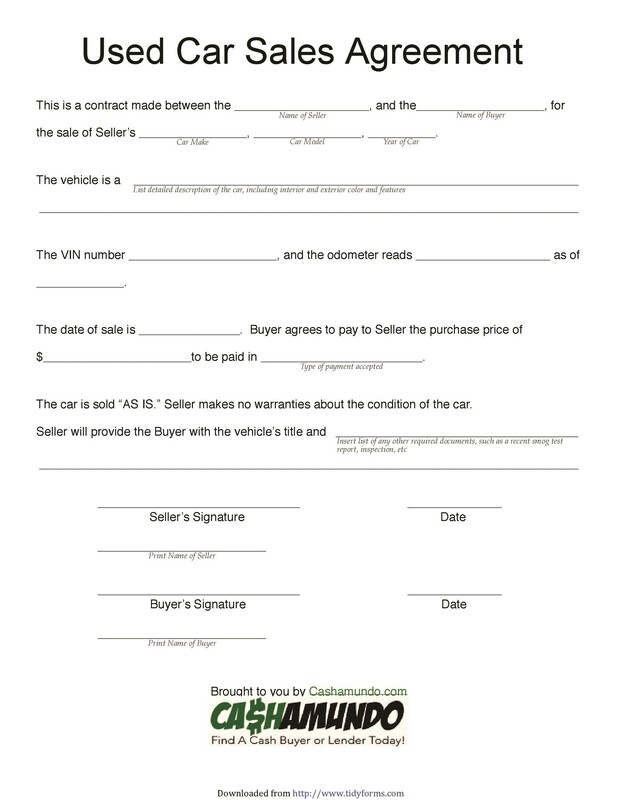 There are very important things that the buyer should be cognizant of before signing a vehicle purchase contract. Meticulous inspection of the prepared contract prepared by the dealership will not always be perfect and it will be up to the buyer to point out errors and inconsistencies in such contract. This is often taken for granted, but the information provided should be accurate. 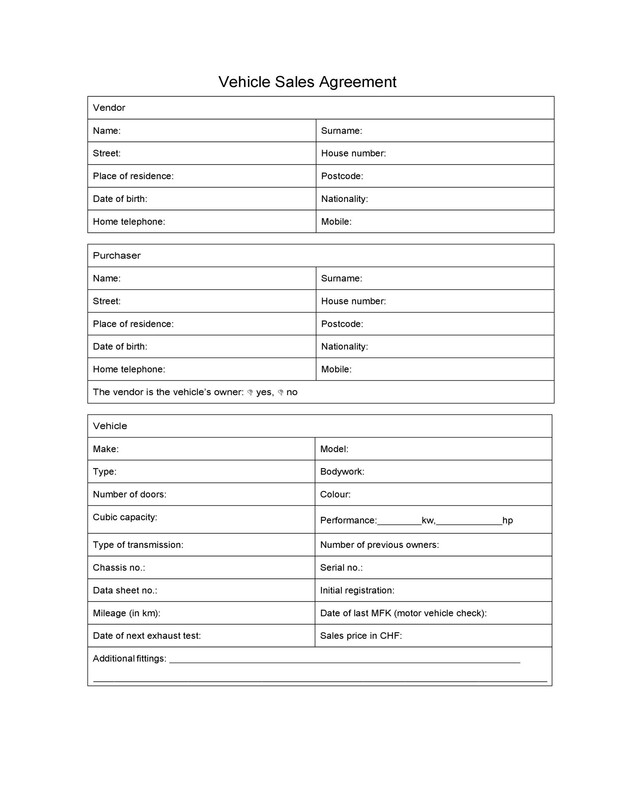 Make sure all your personal information listed in the document is correct. Unscrupulous and questionable fees are almost always added by business services to jack up their profits. And this applies as well to car dealerships. The buyer should meticulously review all the tabulated fees. Ask questions if you do not understand such fees. And if offered an unsatisfactory explanation of the fees inclusion, do not sign the contract. More often than not, the dealership will succumb to your arguments. If not, you can always find another dealership that would not include such fees. For an incentive, dealerships usually offer the buyer free items or services. Be sure to make a list of all these offerings and make certain they are all contained in the purchase agreement. These free items should have a zero amount in the agreement. If not, cross off the amount and write zero ($0) next to it and subtract that amount to the total purchase. Or better still, request the salesperson to reprint the contract. Scan through the added options and make sure all these requested items are present. If you find some items you did not request to purchase, underline that item and subtract its amount to the total. Or again, ask the salesperson to reprint the contract with the correct changes. 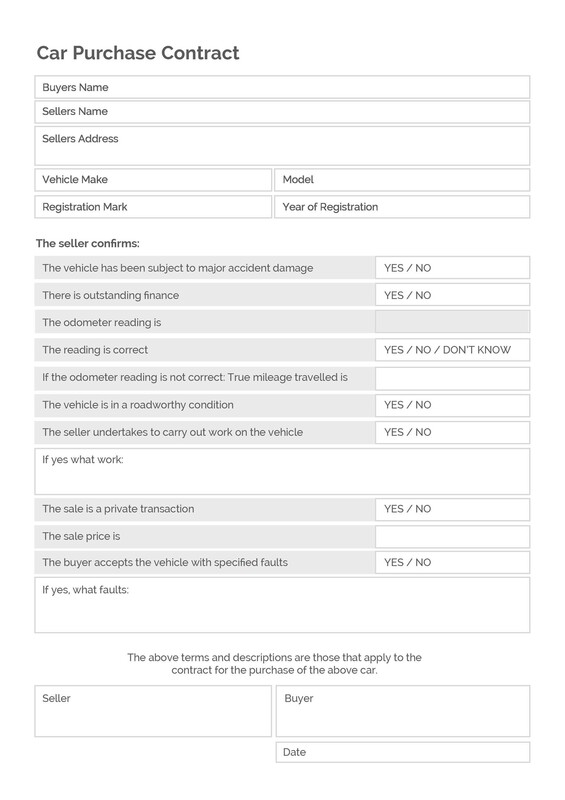 If you feel that the error committed was deliberate, take your business to another dealership. Another incentive for the buyer in purchasing vehicles is an offer of great interest rates on financing. Make sure that this offer is present in the contract. If the amount agreed upon is not mentioned in the contract or if the amount does not reflect what was agreed upon, question it and have it changed before the contract is signed. This is self-explanatory. The amount entered in the contract should be the amount you had actually paid for. 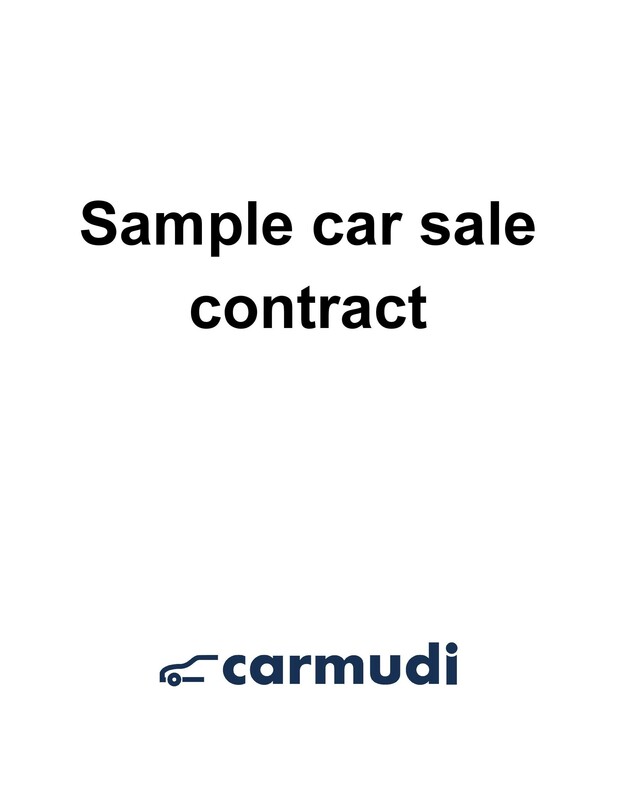 Make sure that the trade-in value of the vehicle contained in the sales contract matches the offer made by the salesperson. 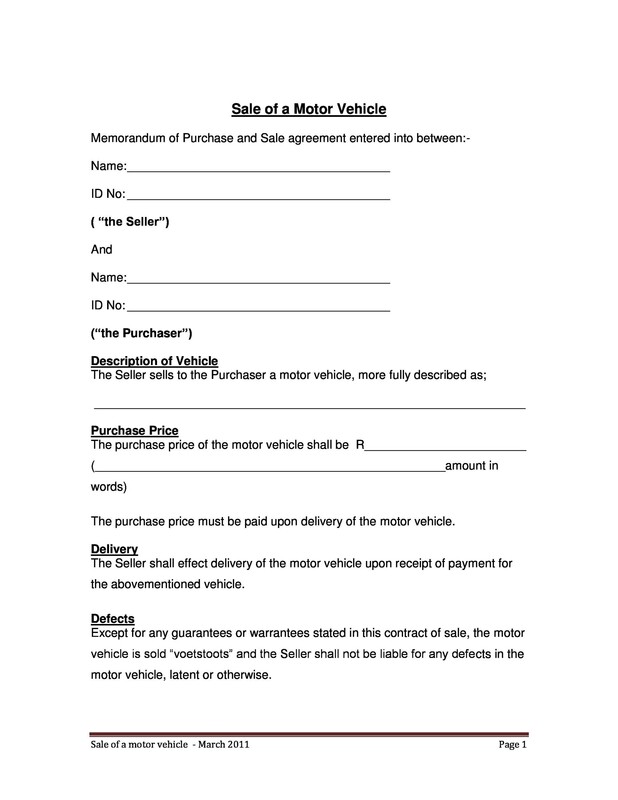 For any apprehensions about what you agreed upon, simply refer to the sales contract. All you need to know could be accomplished in a few minutes time. 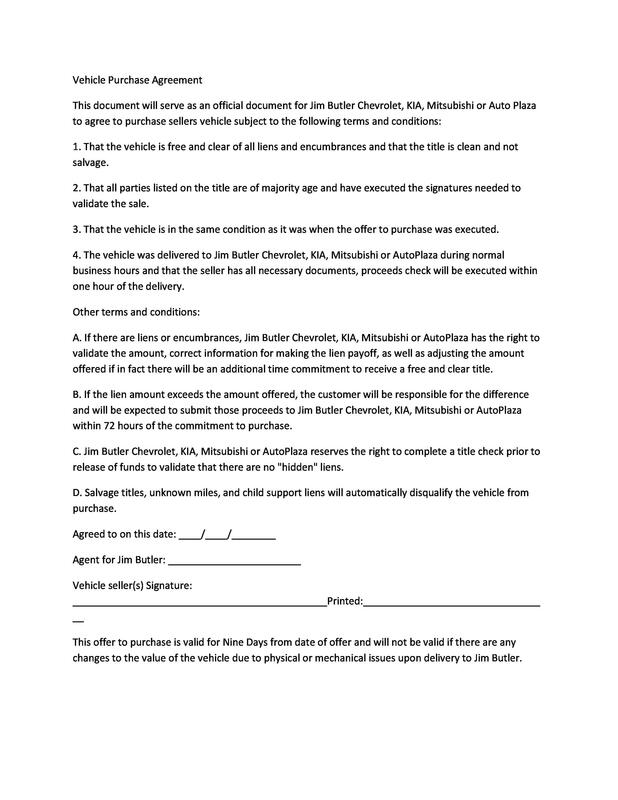 The buyer is under no obligation to sign the agreement, especially if the dealership is engaging in some undesirable practices. Worse comes to worst, just walk out and take your business somewhere else. But such instances are infrequent. Generally, dealerships are honest and unquestionably polite. Mistakes that happen are often data entry errors, and it is for everybody else’s best interest to double check the contract before signing. 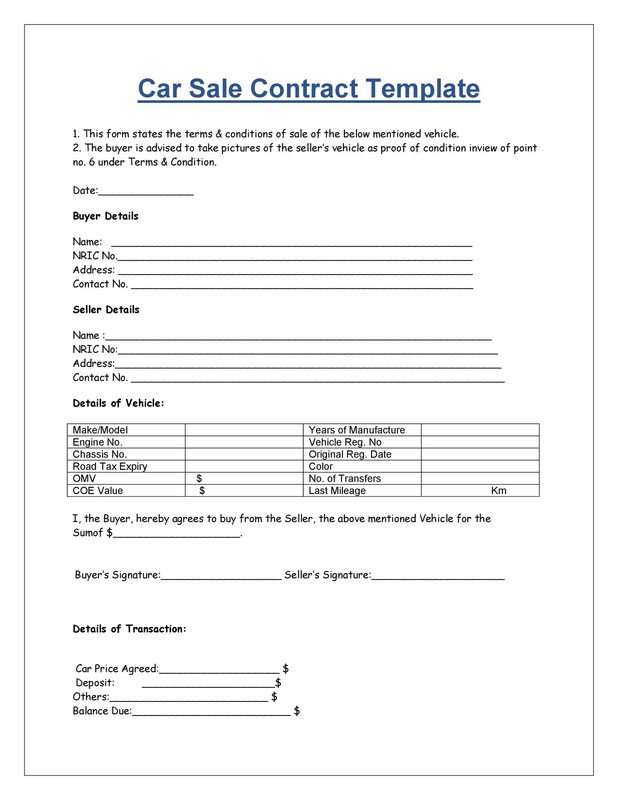 The buyer needs to be aware of several aspects of the contract before entering his/her signature. Check on all the data entered into the physical contract. Make sure that all the amenities offered by the dealership are complete with the correct agreed on prices. Any mistakes should be brought to the attention of the salesperson for revisions and reprinting. If these were all noted, the final contract will be error-free, accurate and ready for signing. Identifying the buyer, the seller and the reason for the contract. 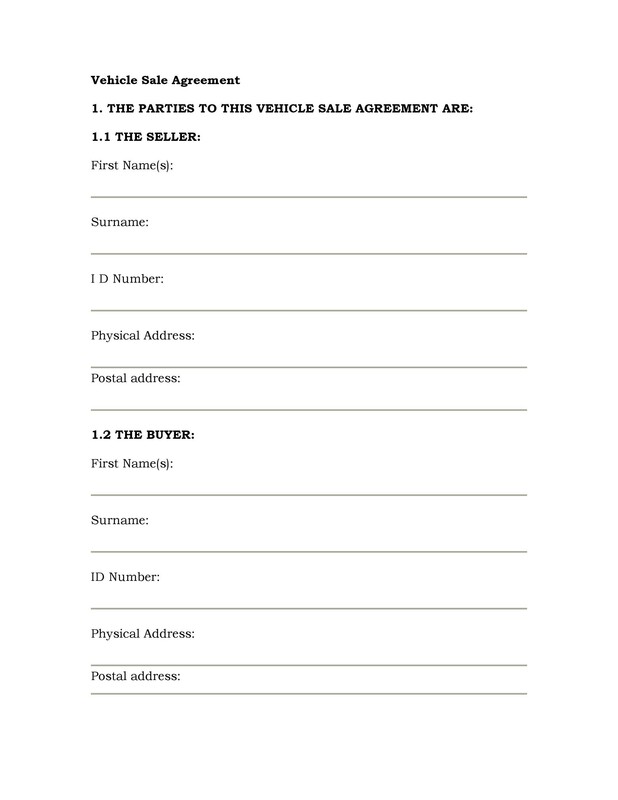 All that is required here are the legal full names of the buyer and seller and that this contract was executed for the purpose of selling the car. Provide the buyers and addresses as well. Include the driver’s licenses for both parties for purposes of identification. Be sure that all the information is accurate. 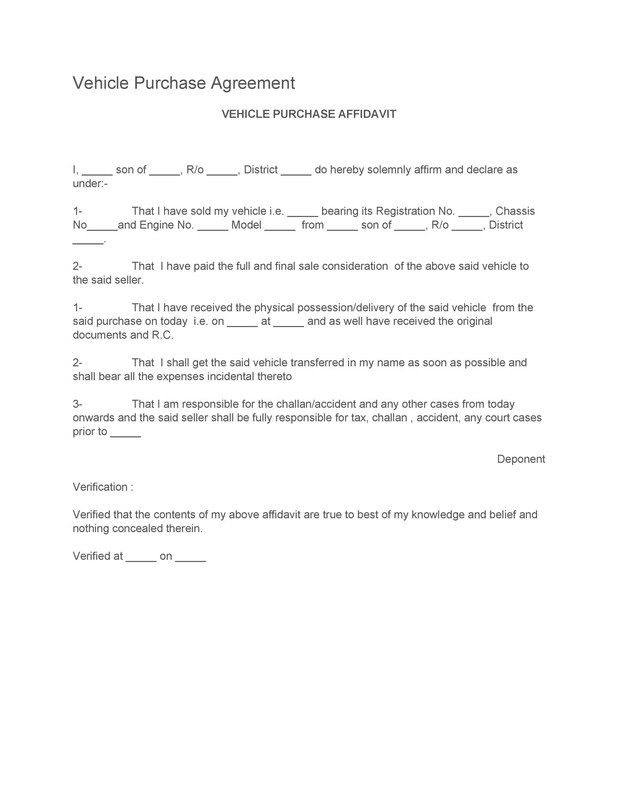 Providing false information about the details of the car can lead to a voidable contract. 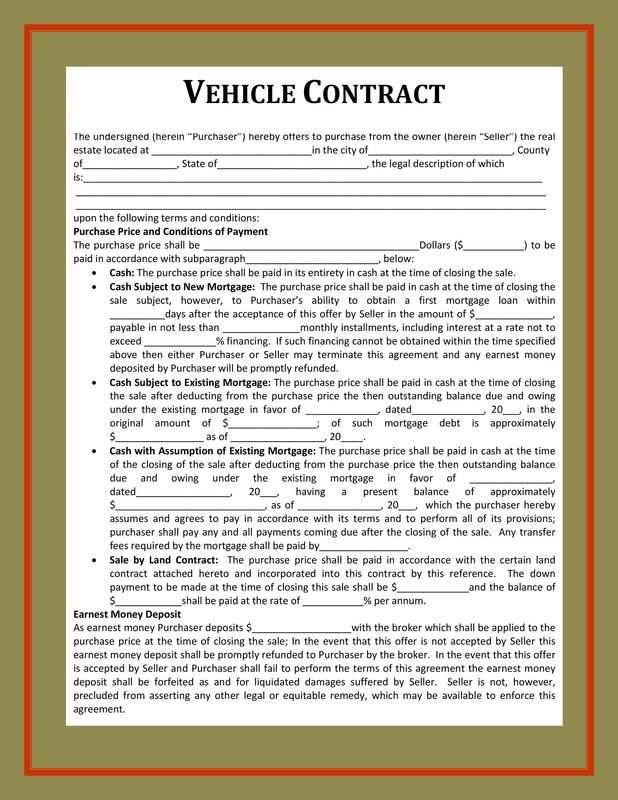 Both parties need to understand the contents of the contract and that neither is stating false claims about the vehicle nor the funds that are traded for the vehicle. An example of this, in the case of the odometer, if it ever was replaced or repaired, this should be stated in the contract. State the date of the sale and the purchase price. 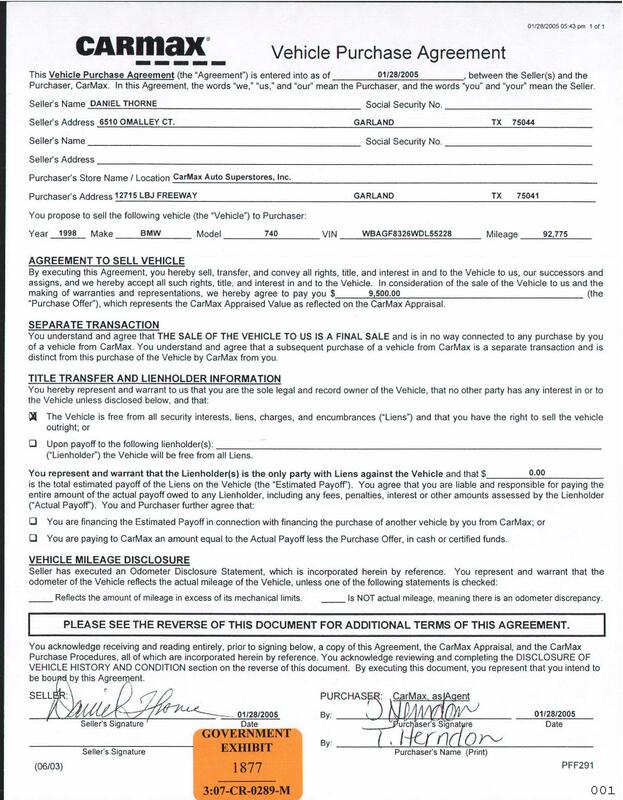 What method of payment was involved in the car purchase: cash, check, cashier’s check, money order, etc. Specify. It can also be a payment plan. 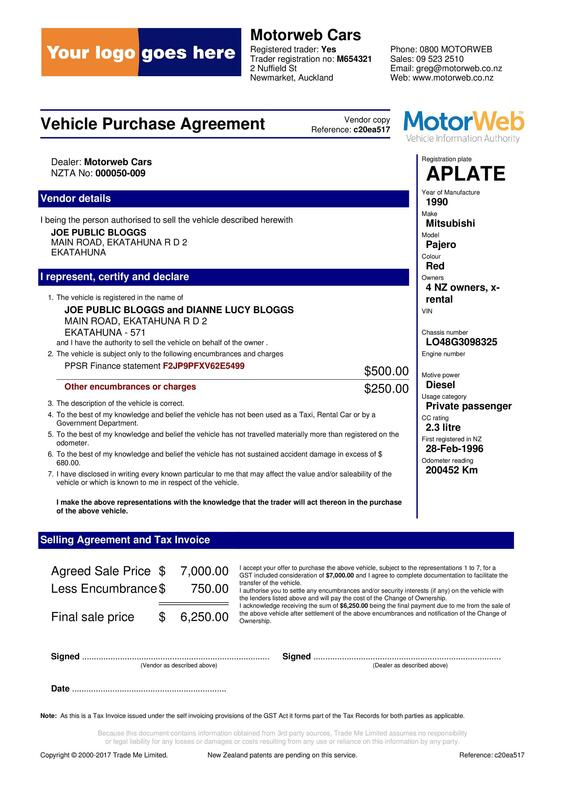 On the side of caution if you agree to a payment plan, hold on to the car’s title until payments are fully paid. 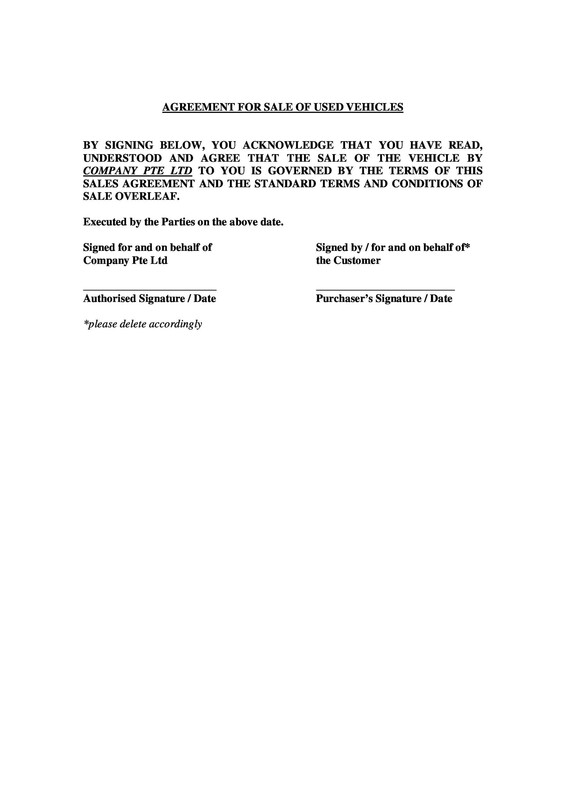 Then send the title to the buyer through certified mail after all obligations are settled. You also need state whether the purchase price is inclusive of sales taxes. Either you specify in the contract that the purchase price includes the sales tax or decide that sales tax is to be added to the price. Describe the condition of the vehicle. It is most convenient for the seller to sell his car “as is”. That would free him of obligations in making repairs on the car and it will limit his liabilities for any issues regarding the car’s condition. This should be entered in the contract, that it was sold “as is” and that the owner “makes no warranties about the conditions of the car”. Such a statement carrying this message should be sufficient. 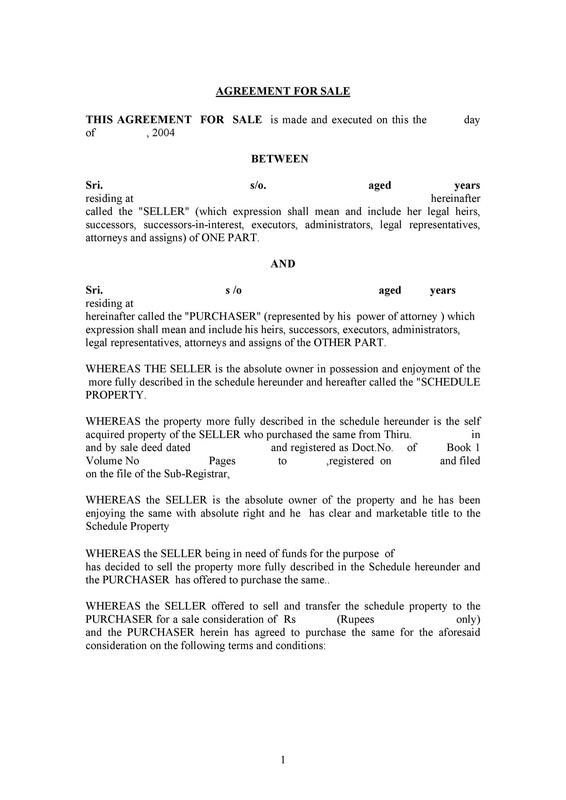 Explain what document the seller will provide to the buyer. 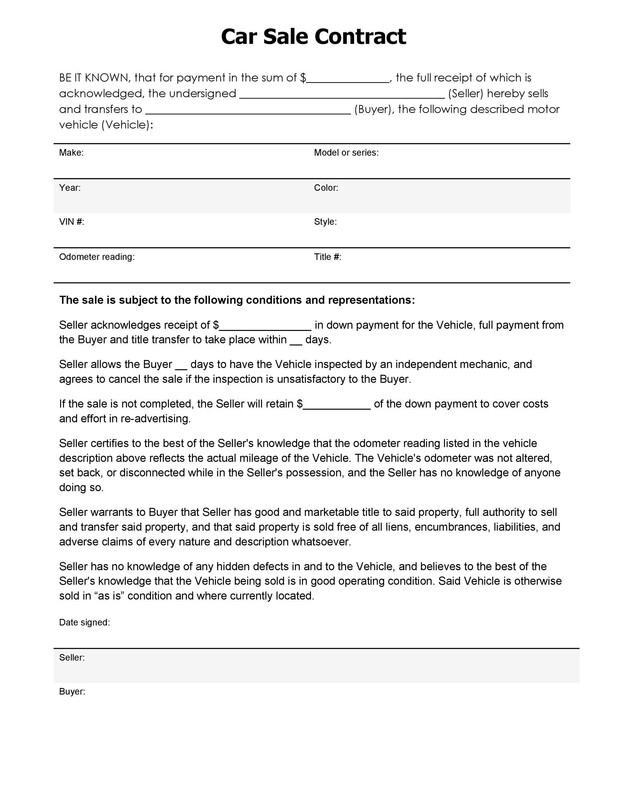 The contract should also have a provision about what documents the seller would be providing the buyer such as the vehicle’s title and any other relevant to the sale. 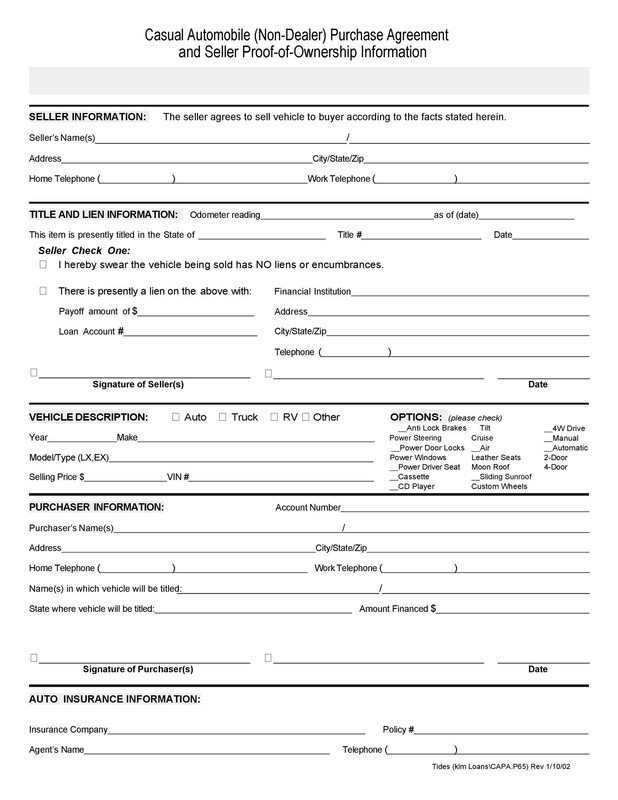 if agreed upon, recent emission test documents or service records of the vehicle. Specify the status of the title. The title should be a clear title, meaning it should be free from liens for car loans or many other legal cases against the owner. For a vehicle with a financed plan, request the finance company for a payoff letter. The latter will provide you an exact balance the seller still owe on the vehicle. This balance will be paid by the buyer to purchase the car. A seller can still sell a car even when the bank still holds the title. It is an issue that needs to be discussed between the buyer and the owner. But the bank still holds the title. 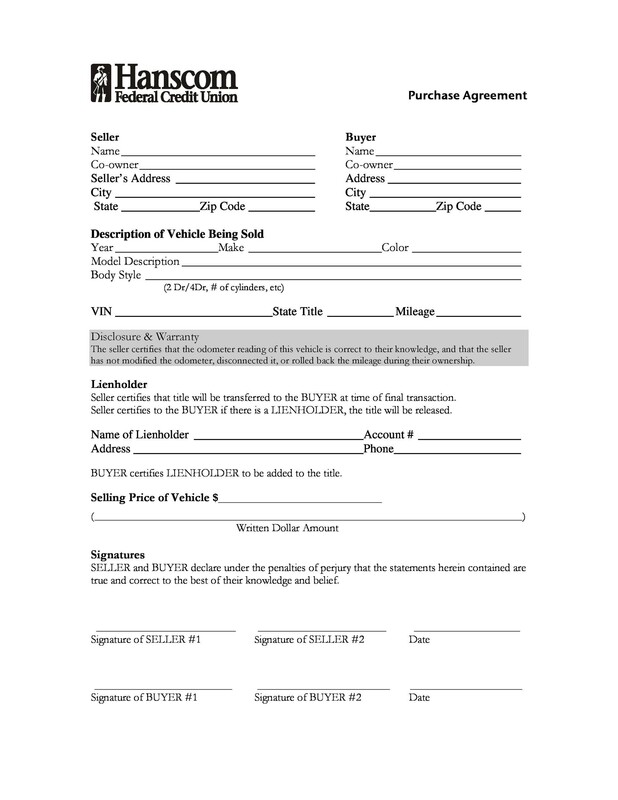 Usually, in such case, the buyer writes one check directly to the bank for the complete payoff amount and another check to the seller for the remaining amount computed between the payoff to the bank and the sales price. When this transpires, the bank can now mail the title to the buyer upon receiving the correct payoff amount. Sign and date the contract. 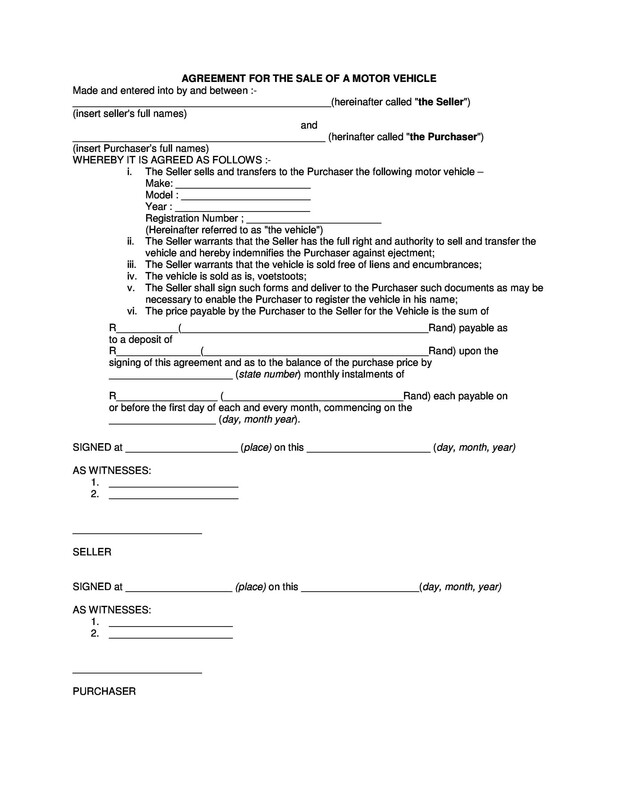 When everything is settled, the seller and buyer should sign and date the contract, after which copies should be printed. The original contract will be retained by one party and the other will retain the copy. It doesn’t matter who retains what. If necessary, a witness could also be a signatory. Having a witness to the contract may help in mitigating legal disputes about the accuracy of the contract.